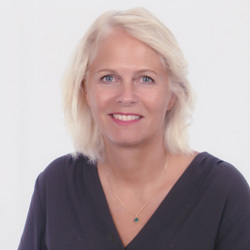 Welcome to my website on craniosacral therapy. Craniosacral therapy is suitable for various physical problems (head aches, back pain, neck problems, pain, stress, fatigue, etc.) and it can also be supportive to your personal development process. It is very relaxing for the body and the mind. By means of soft touch, tensions and blockages in the body are released. This stimulates the self-healing ability of the body as the retention of blockages in our body take up our energy. Restrictions can be of physical or emotional origin, or a combination of both. After treatment you can feel very relaxed and you may experience a sense of space with in yourself both physically and mentally. Craniosacral therapy also creates the possibility to be more in touch with yourself, your feelings, your own needs and desires. Being in touch with your body is very important in this process. As we are often busy with the world that surrounds us and with the things that are required from us, we no longer “hear” or “feel” our own needs and desires very well. We become out of touch with ourselves or feel “out of tune or out of balance”, and it is not always clear what is causing this sensation. We may wish to change and don’t know how or something within us seems to be holding us back. Being in touch with your body can help you to become aware of the feelings or the thoughts that may be underlying. Craniosacral therapy helps you to become aware of yourself and your needs. It can help you to allow yourself to feel what you feel and to learn to be with what is. 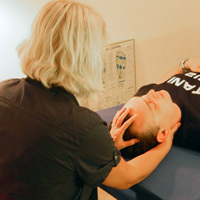 Craniosacral therapy is often used as a complementary and preventative health measure.